ahhhhhh thanksgiving. in my opinion, the king of all holidays. everybody gets a nice long weekend, you don’t have to pick out “the perfect gift for the man who has everything”, and you get to feast on delicious family recipes. but, if your family is anything like mine, thanksgiving day morning starts just like any other day…with a bunch of hungry people wanting breakfast. they are not thwarted by a 20 lb bird in the oven or by the lack of available burners on your stove top. they need sustenance to get them through the long wait until dinnertime. you can send them away to the nearest donut shop or do a little planning ahead and have an easy breakfast treat waiting for them in the fridge. 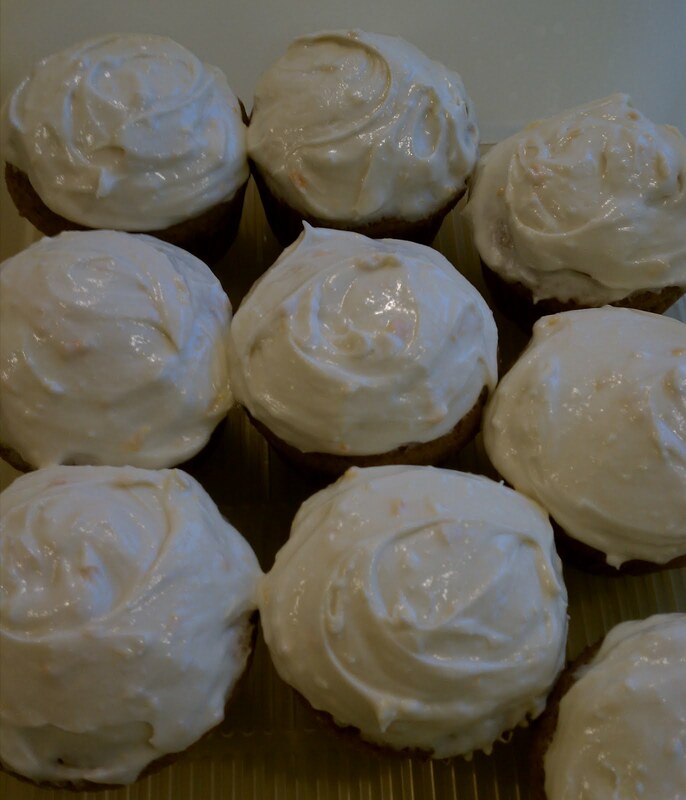 my carrot cake cupcakes with orange cream cheese frosting are just the ticket. they are much healthier than a donut and actually taste better after sitting in the fridge overnight. your thanksgiving day can start out nice and easy with a couple of these carrot cuties and big cup of coffee. crisis averted… until the in-laws show up early and you realize you’ve been cooking your turkey for 2 hours without turning on the oven! 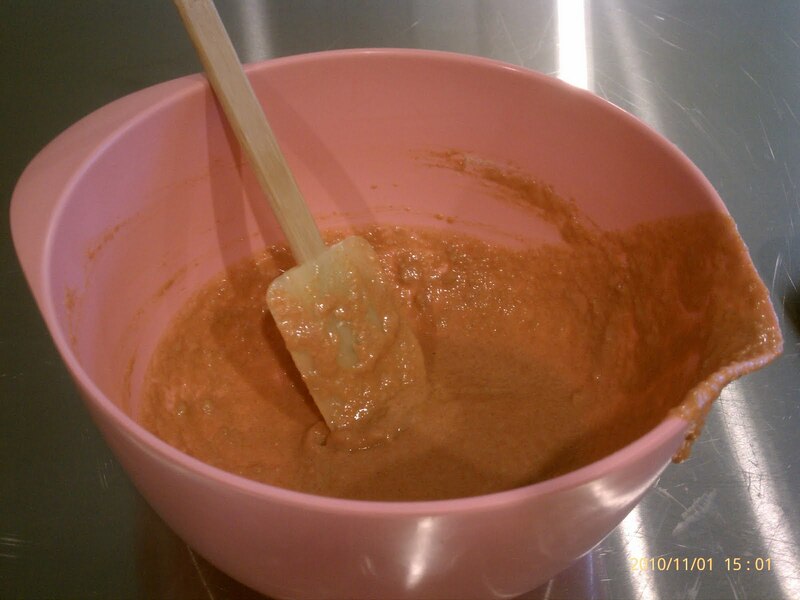 in a bowl, whisk together flour, baking powder, baking soda, salt, cinnamon and nutmeg and set aside. in a large bowl, whisk the canola oil and eggs vigorously until it resembles a loose mayonnaise. 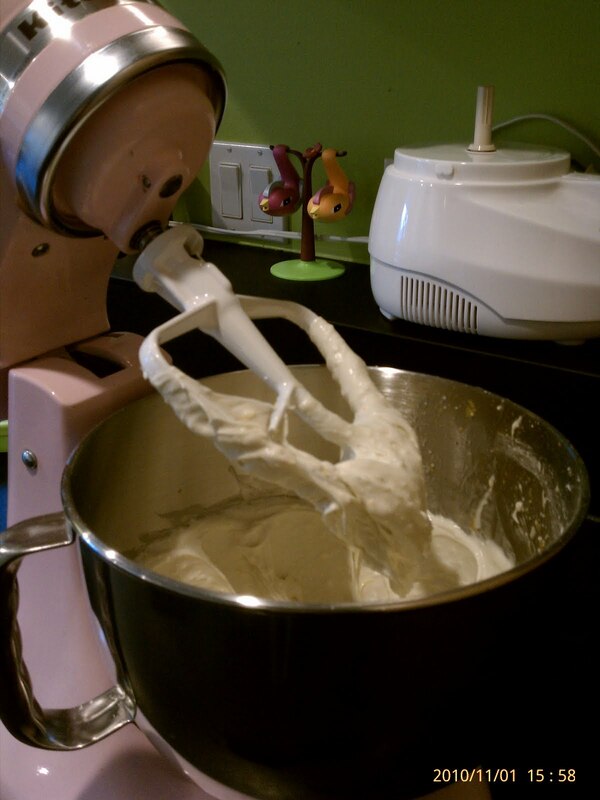 add the vanilla and brown sugar and whisk until creamy. switch to a wooden spoon or spatula and gently stir the flour mixture into the egg mixture until just combined. don’t over mix. gently fold in the pulverized carrots to the batter. 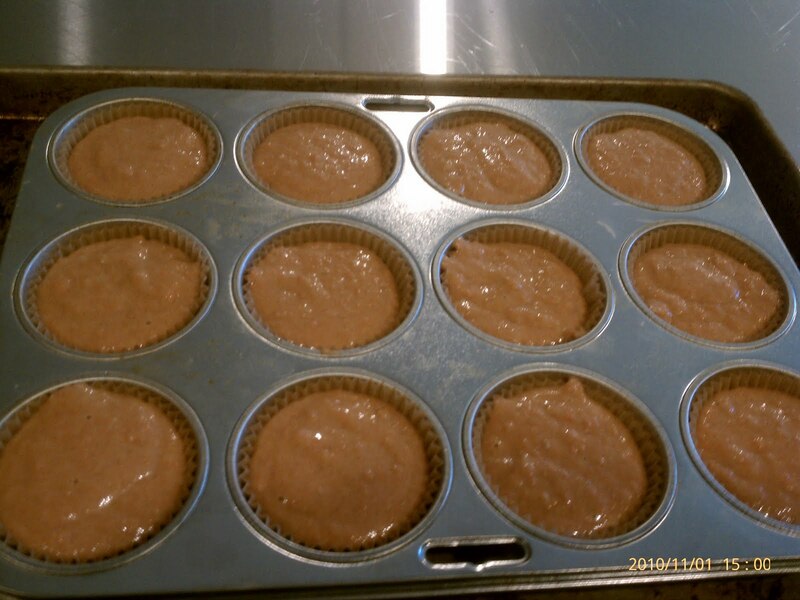 spoon the batter into prepared muffin tin, filling almost to the top. 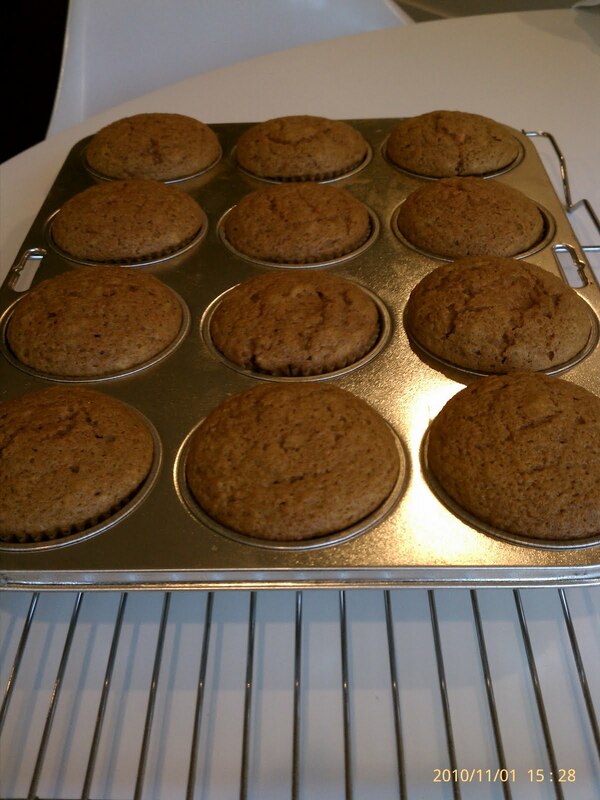 cook until wooden pick inserted in the center of a cupcake comes out clean. 20 to 25 minutes. cool pan completely on a rack before removing and frosting cupcakes. using an electric mixer, blend all ingredients, starting on low and then switching to high, until frosting is creamy and void of lumps. after frosting, store the cupcakes on a plate in the refrigerator. no need to cover or wrap if you plan to eat them the next morning. 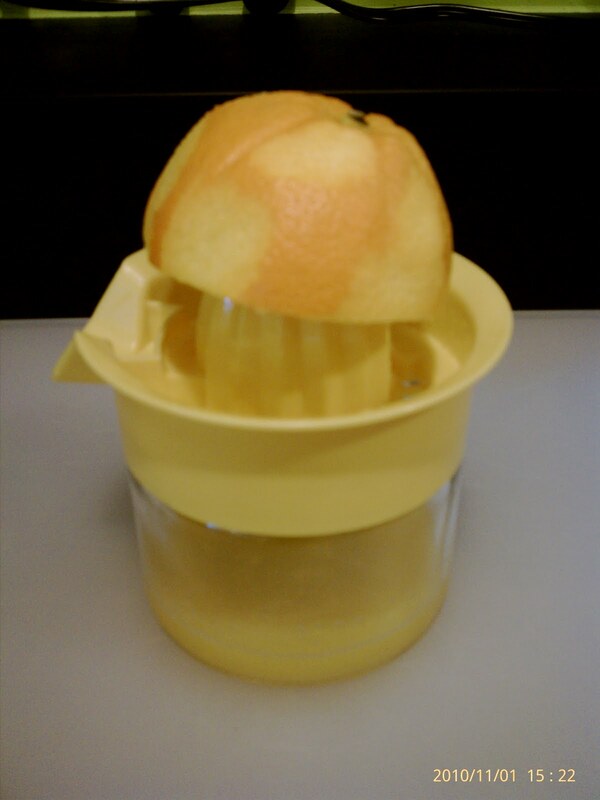 if there are any left over, you can store them in an airtight container in the fridge for 3 days. even for novice cooks, just learning the nuances of thanksgiving dinner, a little planning goes a long way to helping you panic less and enjoy the day more. a glass of wine doesn’t hurt either! we’ve all burned a dish, undercooked our turkey, over-beat our potatoes, made lumpy gravy, or, if you’re like me, set our ovens on fire… but we still come back year after year and try to get it right. it’s still my favorite holiday. gobble gobble!